Experince how to be a musher for one day, only small groups and two people on each sled. Pick up place: Outside the main entrance at "Kystens hus", stortorget 2, 9008 Tromsø. The transfer is approx. 1 hour with a 8 seat car. Drop-off: Outside the main entrance at "Kystens hus", stortorget 2, 9008 Tromsø. 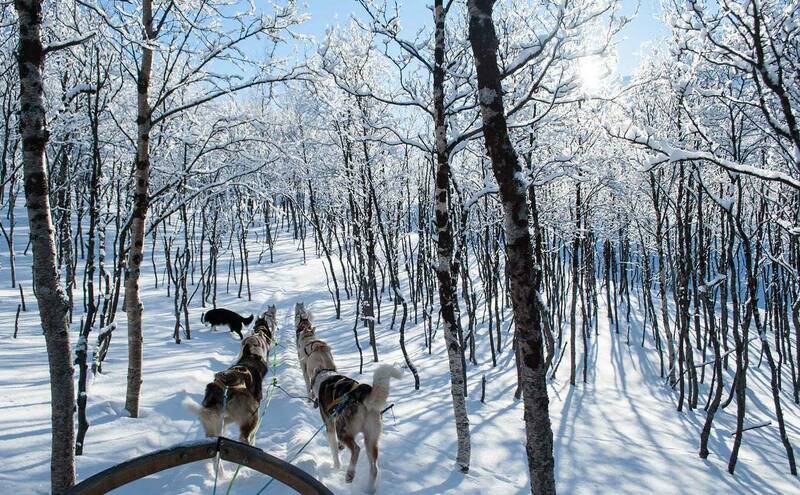 Spend a memorable day as a musher off the beaten track. Join a North Norwegian family and be actively involved throughout, from the briefing around the kitchen table to looking after your own dog team and helping to feed them. 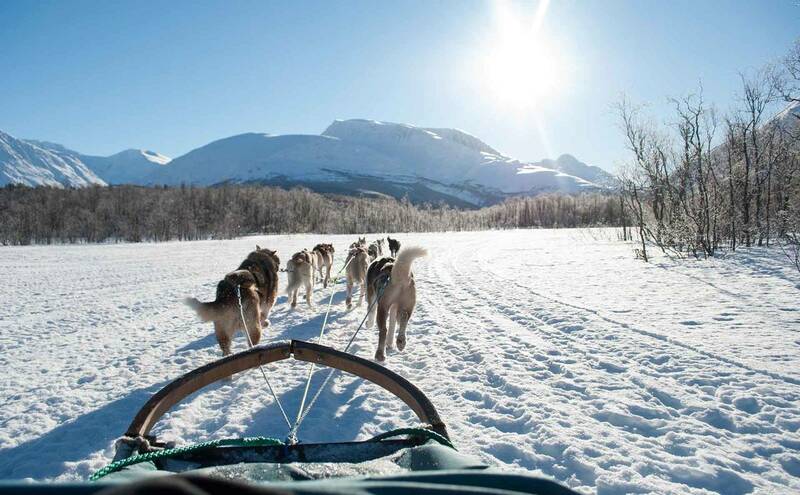 We start with a scenic drive from downtown Tromsø to our house and dog yard set among high and spectacular mountains. Harness your dog team and then head out on an exciting dog sledding adventure in challenging terrain surrounded by spectacular mountains. The actual dog sledding will be 1-2 hours, depending on conditions. We only offer this quality product to small groups because we want you to get the most out of this beautiful adventure. Participants must be in good shape and want to be actively involved. We provide all necessary gear, instruction, hospitality and a coffee break. Two people on each sled. You will have a chance to switch who is musher (driver) and passenger. The guide will gladly take photos of you with your dog team as a reminder of your wonderful Arctic adventure. Bring warm clothes and a packed lunch. From: 01.12.18 or when the snow comes. If we don't have enough snow to do dogsledding we provide dogsledding on wheels. Season ends: 01.04.19. Check out Visit Tromsø for more available spots on our trip.